GIFFORD – On Friday, July 28, 2017, at approximately 11:30 p.m., Indian River County Sheriff’s Deputy Chad Sharpeta conducted a traffic stop on 32nd Avenue near the intersection of 45th Street in Gifford. Two other deputies were on scene as backup speaking to the passengers of the vehicle while Deputy Sharpeta conducted his investigation on the license and registration information. During this time, two shots rang out which are believe to have been aimed at deputies on the stop. The deputies established a perimeter but were unable to locate the shooter in Gifford. Two shell casings were found along with abandoned cellular telephones. The Gifford shooter is believed to have been standing behind a nearby grocery store, firing on deputies. No one was injured and no bullet holes were found in any agency vehicles. The Gifford shooting was captured on video and posted to our agency Facebook page. 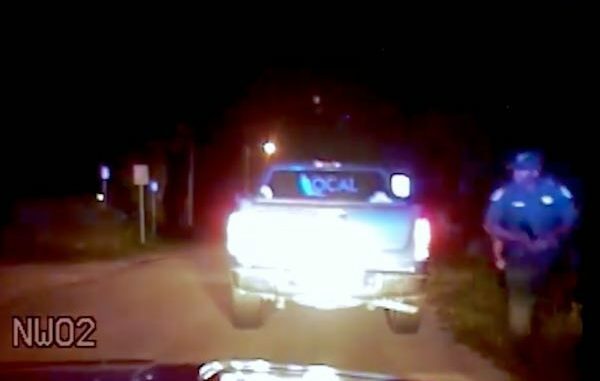 “As you can hear in the video, two shots were fired in very close proximity to our deputies as they were conducting a routine traffic stop. This year has been exceedingly dangerous for our local law enforcement. This is an ambush style shooting as our deputies were focused on their tasks during this stop. We will not tolerate this conduct, and we will investigate every lead trying to identify the person who fired on our deputies Friday night,” Indian River County Sheriff Deryl Loar stated. Anyone with information is encouraged to contact Treasure Coast Crime Stoppers at 1-800-273-TIPS (8477) or www.tcwatch.org. You can remain anonymous and possibly be eligible for a reward of up to $3,000.00.